I made the mistake of watching Inferno as a movie before reading the book. I did see all the differences and I actually like the book better than the movie. I give Inferno by Dan Brown four out of five hearts because it is a great page turner and the end is not what you would expect, which is what I loved. I haven’t read Dante’s Inferno but from what I read about it in Inferno I want to read it, although it will be a bore. For most of the time felt the events of the novel forced as if someone was pushing the pawns through the streets of Florence. This is explained in the end and this took away a lot of my annoyance away. It is amazing how well Dan Brown looked into the details and never messed up Robert’s amnesia. It was one of the things I feared when I started reading. He could have made it a bit worse by having Robert question it a bit more. But it was fine the way it was. Dr. Sienna Brooks behaviour was one of those things that felt forced. She takes Robert Langdon to her apartment after a shooting event. Why would a professional doctor do such a thing? All of her actions are explained in the end, which made it much better. Overall the story is great, it goes fast and end is a twist I did’t expect. 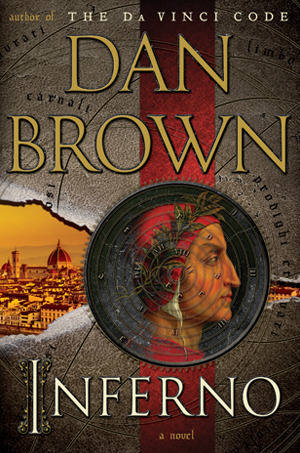 The third Robert Langdon book that hit the silver screen was Inferno. I hadn’t read the book by then and watched the movie in the hopes of getting me to read the novel. Again Tom Hanks played Robert Langdon and Felicity Jones was Sienna. I think they did an okay job in making this movie. But I could see a twist coming so it was a bit obvious, where as that part is not clear in the novel. Also they cut out the biggest twist of the movie out. Which made me sad after reading the novel, because I thought the books ending was much better.